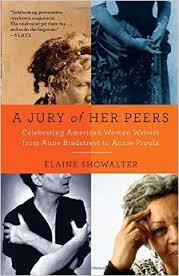 An essay on A Jury of her Peers Summary analyzes the short story by Susan Glaspell. A summary of A Jury of Her Peers can be custom written on Susan Glaspell's work. Paper Masters will write custom research that summarizes the story, the plot, the characters or any other literary element of Glaspell's story. The short story “A Jury of Her Peers” by Susan Glaspell starts with four people – the sheriff, his wife, Mr. Hale, who provides the eyewitness account, and his wife. They travel to the home of John and Minnie Wright to investigate the murder of the former, presumably by the latter. As the sheriff and Hale move throughout the house to gather evidence for Mrs. Wright’s motive, the two other women remain in the kitchen area, contemplating the life that Mrs. Wright led and whether she could have possibly killed her husband. These women – a jury of Mrs. Wright’s peers – consider everything before them, from the half-emptied sugar bag to the disorganized pots and pans. When the men challenge Mrs. Wright’s ability to keep house, they defend her, saying that being the wife of a farmer is difficult work, indeed. The Jury question what might have caused her to be nervous or distracted, resulting in the shoddy work. The Jury finds the canary wrapped in a silk cloth, its neck clearly broken. Glaspell included this to symbolize Minnie herself because she was once a lively, vivacious singer who had been silenced when she was married to John Wright. Ultimately, the women come to no conclusion, but are remorseful for not reaching out to Mrs. Wright earlier and potentially providing her with the sort of support she needed in a marriage that was likely wrought with tension and possibly abuse. Trifles by Susan Glaspell book reports examine the one-act play written by Susan Glaspell, based on a murder case she had investigated as a Des Moines, Iowa reporter. Feminism research papers overview women's rights and the feminist movement. Order a research paper on Feminism from Paper Masters. Feminist Literature - Famous authors of feminist literature include Mary Wollstonecraft, George Sand, Kate Chopin, Susan Glaspell, and Virginia Woolf. Liberal Feminism - Liberal Feminism research papers discuss the type of feminism that focuses on women’s ability to maintain equality through individual actions and choices. Paper Masters writes custom research papers on an essay on A Jury of Her Peers Summary and analyzes the short story by Susan Glaspell.